Even aliens love Galaxy Wars! The last two comics turned out really dark for some reason so the scenery in this one is a nice change of pace. 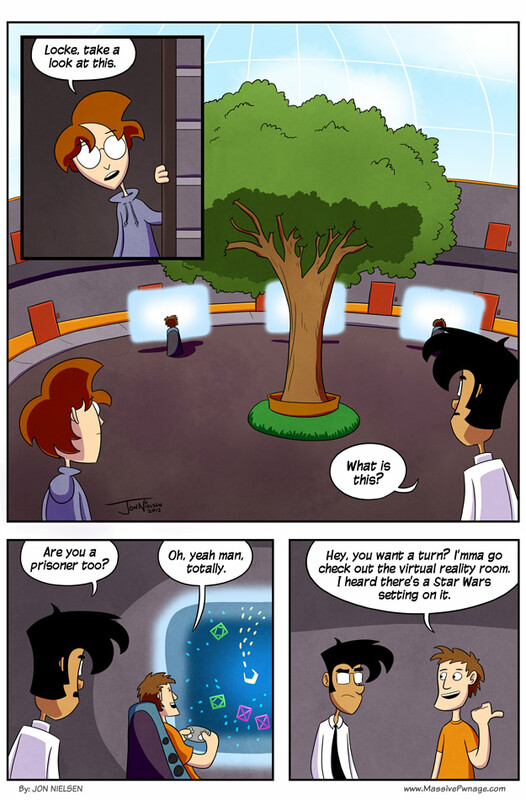 This entry was posted on Wednesday, March 14th, 2012 at 12:00 am and is filed under Comics. You can follow any responses to this entry through the RSS 2.0 feed. Both comments and pings are currently closed. 2) The aliens are truly benevolent beings. The aliens MADE galaxy wars. Those are not original ideas. It is their reality. ‘^’ they want our Final Fantasies our Chrono Triggers and our Wild Arms because they only need RPGs to complete their collection! i told you they only want our video games! but for what sinister purposes do they need them? !